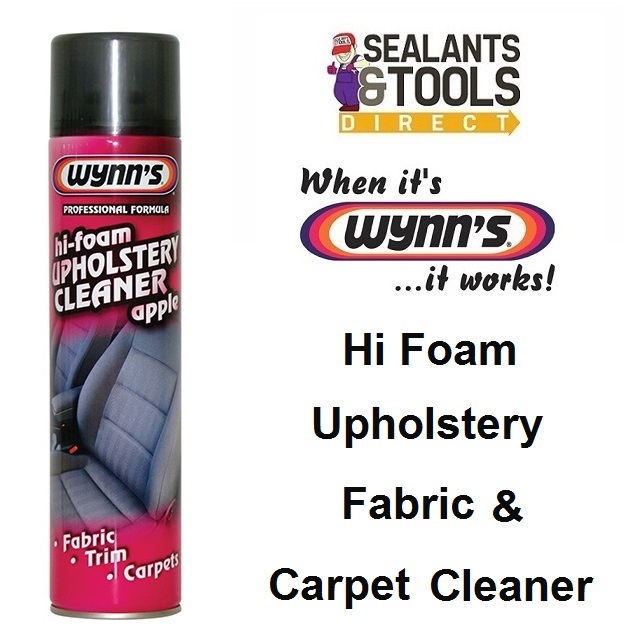 Wynns Hi-Foam Upholstery Cleaner removes stubborn stains, cleaning and freshening tired fabric and upholstery leaving a fresh apple aroma. Hi Foam action lifts the the dirt from the material. Leaves a fresh apple aroma. Ideal for removing greasy stubborn stains. Not for use on leather surfaces. Always read the instructions and warning on the can prior to use.